As a customer centric service organization, Commport is always striving to ensure that our customers are satisfied with the products and services that we offer in Electronic Data Interchange, Value Added Networks and Global Data Synchronization Networks. 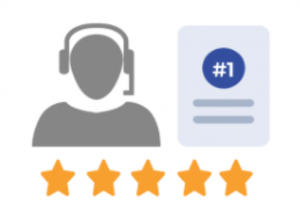 To measure our success at exceeding our customers expectations, we perform a Customer Satisfaction Survey on an annual basis as well as surveying customers that deal with our support representatives on a regular basis. These survey allows us to gain a better understanding of our customers and their level of satisfaction and to benchmark our performance as we endeavor to make changes and improvements to our products and services. Our industry leading customer service team is available Monday – Friday 6:30 am to 7:00 pm EST. Customers also have access to our Operations and Support team 24/7 by calling (905)727-6782 X2222. For more information about this team and their availability please review our Customer Support hours.